Q1. 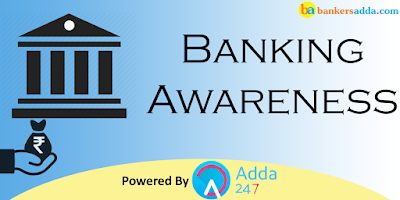 The Reserve Bank of India (RBI) has granted “in-principle” approval to the ________ applicants to set up small finance banks under the “Guidelines for Licensing of Small Finance Banks? Q3. Reserve Bank of India has granted in-principle licence for small finance banks. The in-principle approval granted by RBI will be valid for a period of ________ months. Sol. Reserve Bank of India has granted in-principle licence for small finance banks to ten entities. The in-principle approval granted by RBI will be valid for a period of 18 months. Q4. Where is the headquarter of AU Small Finance Bank? Sol. Jaipur, Rajasthan is headquarter of AU Small Finance Bank. Q5. RBI was granted a licence to small Finance Banks for commencement of banking business under Section ______ of the Banking Regulation Act, 1949. Sol. RBI was granted a licence to small Finance Banks for commencement of banking business under Section 22(1) of the Banking Regulation Act, 1949. Sol. Softbank has made its biggest investment in an Indian digital enterprise by sealing a funding round of Rs 9,000 crore ($1.4 billion) in mobile payments provider Paytm.The Japanese internet and telecom conglomerate will now own about a fifth of the Noida-based company estimated to be worth $8 billion, making it the country’s second most valuable startup. This is the largest fund infusion by a single investor in an Indian start-up and also Softbank's largest investment in a single company in India. Q7. Which among the following banks has entered into a Memorandum of Understanding (MoU) with Life Insurance Corporation (LIC) of India for selling life insurance products of LIC? Q8. HDFC Life has announced the launch of an artificial intelligence-based application 'SPOK' that can automatically read, understand, categorise, prioritise and respond to customer emails sent to the private insurer. Where is the corporate office of HDFC life? Q9. Which bank has launched a new trading platform called “Selfie” for customers in association with Geojit? Q10. _____________ and IFFCO rolled out their first set of co-branded debit cards for farmers as part of a novel initiative to push digitalisation and cashless economy. Sol. Bank of Baroda (BOB) and IFFCO has rolled out their first set of co-branded debit cards for farmers as part of a novel initiative to push digitalisation and cashless economy. Both the organisations in February 2017 entered into a memorandum of understanding (MoU) in this regard. The co-branded debit cards, with inbuilt overdraft of Rs. 2,500 in special savings bank account, could be used for purchase of various agri products at IFFCO sale counters. Q11. NPA is a loan or an advance where interest and/or installment of principal remain overdue for a period of more than ______ days in respect of a term loan. Sol. A non ­performing asset (NPA) is a loan or an advance where interest and/or installment of principal remain overdue for a period of more than 90 days in respect of a term loan. Q12. NPA is a loan or an advance where? (a) the instalment of principal or interest there on remains overdue for one crop season for long duration crops. (b) the account remains ‘out of order’ in respect of an Overdraft/Cash Credit (OD/CC). (c) the instalment of principal or interest there on remains overdue for two crop seasons for short duration crops. 1. interest and/or installment of principal remain overdue for a period of more than 90 days in respect of a term loan. 2. the account remains ‘out of order’ in respect of an Overdraft/Cash Credit (OD/CC). 3. the bill remains overdue for a period of more than 90 days in the case of bills purchased and discounted. 4. the instalment of principal or interest there on remains overdue for two crop seasons for short duration crops. 5. the instalment of principal or interest there on remains overdue for one crop season for long duration crops. 6. the amount of liquidity facility remains outstanding for more than 90 days, in respect of a securitisation transaction undertaken in terms of guidelines on securitisation dated February 1, 2006. 7. in respect of derivative transactions, the overdue receivables representing positive mark-to-market value of a derivative contract, if these remain unpaid for a period of 90 days from the specified due date for payment. Sol. MUDRA, which stands for Micro Units Development & Refinance Agency Ltd, is a financial institution being set up by Government of India for development and refinancing micro units’ enterprises. It was announced by the Hon’ble Finance Minister while presenting the Union Budget for FY 2016. The purpose of MUDRA is to provide funding to the non-corporate small business sector through various Last Mile Financial Institutions like Banks, NBFCs and MFIs. Q14. MUDRA Bank, a Non Banking Finance Company as MUDRA Ltd has been set up as a subsidiary of............? Sol. MUDRA Bank, a Non Banking Finance Company as MUDRA Ltd has been set up as a subsidiary of SIDBI. Q15. In which among the following year Asia's first Export Processing Zone (EPZ) was set up? Sol. India was one of the first in Asia to recognize the effectiveness of the Export Processing Zone (EPZ) model in promoting exports, with Asia's first EPZ set up in Kandla, Gujarat in 1965. With a view to overcome the shortcomings experienced on account of the multiplicity of controls and clearances; absence of world-class infrastructure, and an unstable fiscal regime and with a view to attract larger foreign investments in India, the Special Economic Zones (SEZs) Policy was announced in April 2000.